Pastor Bunmi Babatunde belongs to the generation of ministers of God not only in Christ Apostolic Church Worldwide, but in the world at large who are impacting lives in all aspects of life. He is the Regional Youth Coordinator of CAC Akinyele Region and the Senior Pastor of CAC Chapel of Testimony, Ilogbo Lagos. 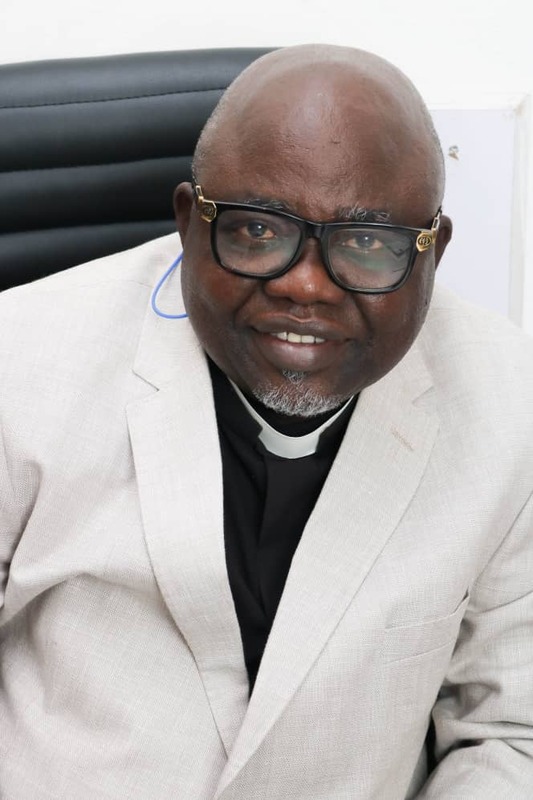 In this interview with ‘Gbenga Bankole, Pastor Babatunde speaks on infidelity in marriage and other interesting issues. EXCERPT ! The word “infidelity” is coined from the word “fidelity.” Fidelity is about trust, faith, belief, sanctity and sacrosanctity of a thing. Fidelity is also about consecration, sanctification etc. Fidelity is a core value of faith in something. Infidelity is the opposite. Infidelity is lack of trust, consecration, opposition to mutual agreed values and a destruction of hallowed covenant. Infidelity is about lack of conscience in a matter of trust. What are the causes of infidelity in Christian Marriage? Infidelity in marriage has a distant truth, it doesn’t just start when a man gets married. It has been there possibly as a tiny seed. It is caused by covetousness and greed. The root of it is from Adam. Adam had access to all the trees. “All the tress” could be thousands or millions. It was only one tree he was told not to eat from, but he coveted it. When infidelity is in the heart of a man, it will spread to every area of his life, not just marriage. Such a person will not be trustworthy in business or in any agreement. What are the implications of infidelity in marriage? The implication is for both immediate and the future. Firstly, trust is lost. Secondly, the sanctuary of a home is breached and malevolent third party can enter and make that home a battle field. This is because a covenant has been broken. When infidelity sets into a family, it may not even go as far as even sexual immorality. It could be a spouse keeping a secret from the husband or wife. He/She quickly deletes a text message or cut a conversation when the husband or wife is available. There was a case of a lady I heard who bought a land and built a house without telling her husband. She did all the papers of the house in the name of her little boy without the consent of the husband. But she told this friend who told me the story. Unfortunately, the woman fell sick and died. The friend she told could not tell the husband and nobody could trace the property. The property became a waste. It was a waste of resource, waste of energy, waste of time and a waste of positive emotion that drive infidelity. Infidelity in marriage can cut short the joy of home and put the home into disarray. In the future it will have negative effects on the children. The wound of it will be forever in the life of the children. The children's life emotionally and psychologically will be affected forever. So many of the broken homes they have emotionally broken children. The memory of the children about their home is very bad and they are likely to be victims of another broken home in the future and at the end of it, it impacts the society negatively. This is because every community is from a unit of a family. When someone is being brought up from a family full of bitterness, what do you expect such person to contribute to the society except to bring more troubles and bile to the already trouble-filled society. How rampart is infidelity in the church? All what I have been talking about is all about the church. The world talks about a man and several wives, but the Bible talks about one man and one woman. It is about covenant that is made between husband and wife to keep themselves in holy matrimony. It is not in the world, it is in the church. The scripture compares marriage to Christ and His church according to Ephesians chapter 5 from verse 15. Whenever marriage vow is broken, it does not only impact the church negatively, it touches eternity. In a known case of infidelity in marriage, how should the offended spouse react to the situation? The couple needs sanctified counselors. Counselors who understand the word of God and they do not just preach it but have testimony about it. Counselors who live according to the word of God and counsel that comes from such people is prophetic because they live the life of what they preach and they can say it with testimony. The couple also needs to hold on to the word of God as their strength. I always tell people that no matter how terrible your husband or wife is, make sure that the crash of that marriage does not come from you as a child of God. Your spouse may send you out, but don’t contribute to it. As a leader of the youths, how can singles avoid infidelity in marriage? I know of a case of a Pastor who got married and was sleeping with other women. His excuse was that the wife he wanted to marry was not the one he married. He doesn’t like his wife. When one is infidel, so many satanic gifts will manifest in such person’s life. Before the Pastor got married he has been dating and sleeping with women. He also had been sleeping with the person he got married to when they were in courtship. When you look at such life, you will discover that it has been a crooked life from the beginning. If anybody is going to settle down to marry, make up your mind that every extramarital affair must cease because a vow of marriage is witnessed by the Trinity and if you break it, it is an offence against them. So you must know the implication of the action you are taking. Many people go into marriage without understanding the word of God. When you look at their lives they have a lot of offence against individuals they have not been able to forgive. They are used to keeping malice, breaking up relationships on the ground of offences and they repeat same thing when they get married. The life that is not sanctified can attract anything, infidelity in particular. You said in one of your messages last year that there shouldn’t be any rancor or chaos in Christian Marriage that should lead to divorce. However, Jesus said someone could divorce his or her spouse for reason of immorality. What is your take on this? Christ did not stop there. He said once you divorce, you can’t marry again, except your partner dies. If someone divorces at the age of 30, how long will he or she waits? There is no sin that cannot be forgiven, even adultery. I know of a case of a well known minister of God who messed up some times ago, but to the glory of God he is doing better with his wife today in the ministry. We have heard of the case of Kathryn Kuhlman who fell into fornication, but the Lord picked her back. That is the case of Christ and His church. I have seen people who fell and Christ picked them back. That is what Christ is trying to teach us. Undoubtedly, it is a terrible thing. It could be disheartening or devastating, but it could be one's cross to really determine whether one is a candidate of Heaven is or not. There are ministers of God who have fallen into the sin of adultery and some of them their wives are not aware yet. What is your advice to them? For the sake of their Heaven, they must let their wives know. Whether their wives know or not Heaven knows. The Bible says whosoever covereth his sin will not prosper. Some of them could make money, but they will end up spending the money on sickness. For the sake of their Heaven and peace of mind, they need to confess to their wives. It is a spiritual thing. It will backfire into the family either now or in the future. It could backfire into the life of the children. A man of God must stand against any thing that could make him an infidel before God. Infidelity is not about marriage alone, but every area of the child of God. When you are a child of God, you are led by the Spirit of God. You must not stumble against the word of God. You want to keep it at all time because you are being led by the Holy Spirit.